Luca Lixi has been awarded a scholarship to carry out a PhD at the University of Sheffield, conducting research on migration governance in Europe as part of the MIGPROSP project. 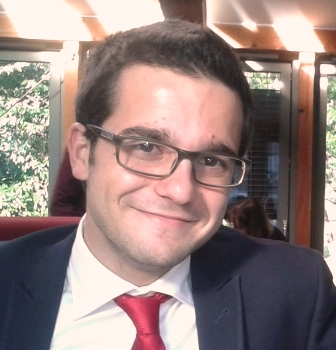 Luca’s research focuses on the European External Migration Governance in the Mediterranean region. He is specifically looking at how actors of governance – in Europe and in Northern Africa- understand migration in the Mediterranean, what divergences are present and how this plays out in developing a joint governance of migration in the region. The case study of his analysis is Tunisia, given the geopolitical strategic role the country plays for Europe in the Mediterranean, as well as the important transition that the country has gone through after 2011, that warrants further analysis into how this has changed the relations with the EU on migration. Luca graduated from the University of Nottingham with a BA in Political Science, and then carried out a Master of Science at the London School of Economics and Political Science (LSE) in International Migration and Public Policy. He has worked and consulted in the European Commission for two years, particularly as regards legal migration in the frame of cooperation with Third Countries. He has also worked as a consultant for the European Migration Forum and the Transatlantic Council on Migration organized by the Migration Policy Institute (MPI), and was visiting researcher at MPI Europe.